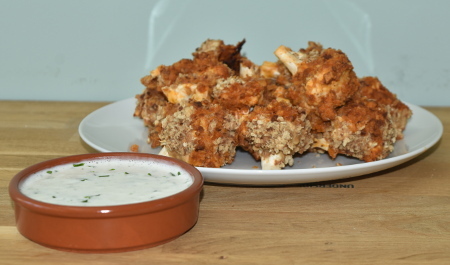 Yes I know - it’s a bit of a risky move for a British girl to write a vegan ranch sauce recipe! From my American friends I’ve understood that this is one of America’s favourite dressings/sauces, so I really hope I can do it justice. I have done a little research so hopefully it will at least resemble the classic American dressing. 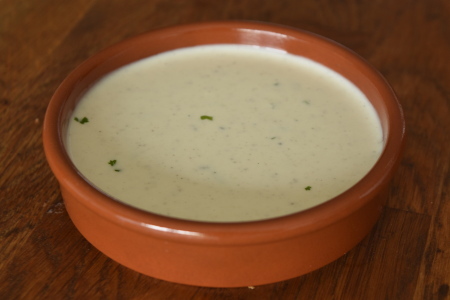 I’ve decided to make my ranch sauce a bit thicker than the classic ranch dressing, as I want it to be able to be served as a dip too – if you would like a thinner dressing, then just half the amount of aquafaba I’ve suggested. I’ve chosen to use aquafaba as the base for this sauce – the same as the base for my mayonnaise recipes. I personally find that aquafaba creates a vegan ranch sauce with the most similar texture to mayonnaise without altering the flavour; using cashews and soya milk doesn’t quite work in my opinion. However, aquafaba can sometimes be a bit difficult to work with and I’ve found that I don’t always achieve my desired consistency. Saying that, I’ve found that through being patient, adding the oil slowly and stopping blitzing the mixture as soon as it thickens, I have achieved pretty consistent results. Another aquafaba tip is not to add the lemon juice until the end – the acidity encourages the mixture to split early on. Makes about 250ml (just over a cup) of vegan ranch sauce. Prep time: 10 minutes. Blend together the aquafaba, garlic, onion powder, black pepper and salt in a high speed blender, until the aquafaba starts to go frothy. Little by little, add the vegetable oil to the aquafaba mixture, continuing to blitz as you add it. At this point the mixture should thicken to a mayonnaise-like consistency. 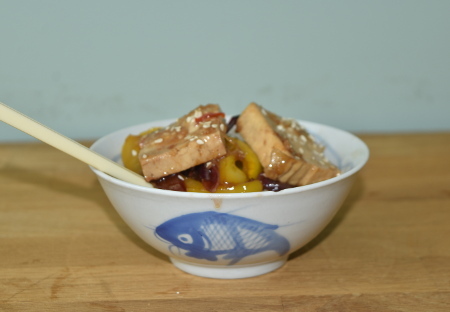 If the sauce is still a little thin, then add some more aquafaba and blend again. Stop blending as soon as you reach the desired consistency. Add the lemon juice, parsley and chives to the mixture and gently stir them in. 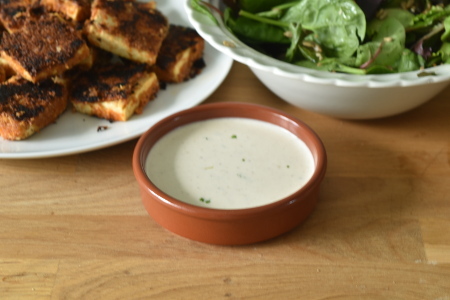 Et voilà, your vegan ranch sauce is ready to be dipped in and enjoyed! 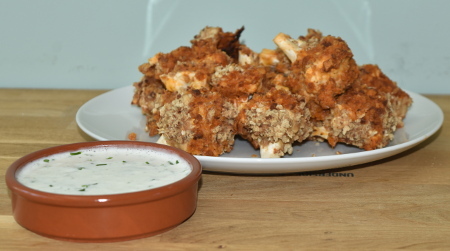 I recommend serving with Barbecue Buffalo Cauliflower as a delicious party snack! Where did ranch dressing come from? I’ve always wondered how ranch dressing came to be such a well-loved food of America, and so I decided to do a bit of my own research. I was quite surprised by how much of a recent phenomenon ranch is, only appearing first in the mid-20th century! If you want to know some more about the history of ranch dressing, click here to read an interesting article about it; the one that I read before writing this page.